Eco-friendly cat beds are the must-have accessory for any conscientious pet owner. 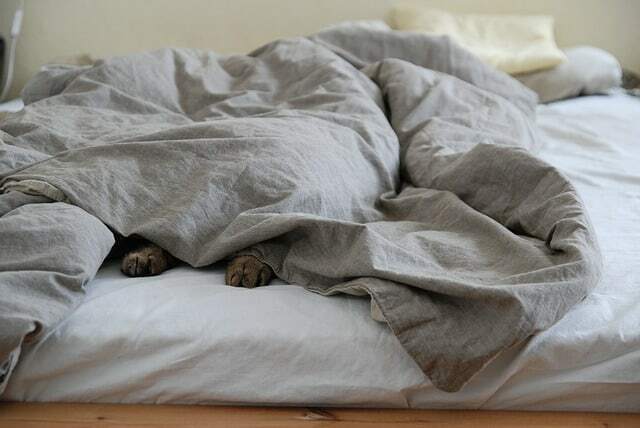 While we all love our furry best friends, the truth is that every pet leaves a footprint (or should that be paw print?) on the environment. But there is a lot you can do to reduce this without compromising on their quality of life. From the choice of food or litter, to even changing the types of toys you buy. One of the best ways to make a positive change is to look at their sleeping arrangements. What Are Eco-Friendly Cat Beds? Why Choose Eco-Friendly Cat Beds? The term ‘Eco-Friendly Cat Beds’ is a catch-all term. It describes a number of different types of bedding that are all sustainable in their own way. Whatever you choose will depend on your budget, style choices, and (most importantly) the personality of your cat! These beds can be made out of recycled materials, such as old plastics or even polyester and other fibers, or, they can be made of organic materials, like cotton instead of plastic. They can also be made out of up-cycled materials, such old sweaters or rags you don’t need! These are normally handmade, but there are bespoke examples available to purchase. Cat beds can also be made of renewable materials, like hemp. Perhaps most commonly forgotten: the easiest way to be environmentally friendly is to buy good, durable products that won’t need replacing for a long time. Eco-friendly cat beds are as varied as the cats which sleep on them. Most importantly, they don’t have to break the bank. When choosing one, it’s crucial to understand the importance of where your cat likes to sleep. 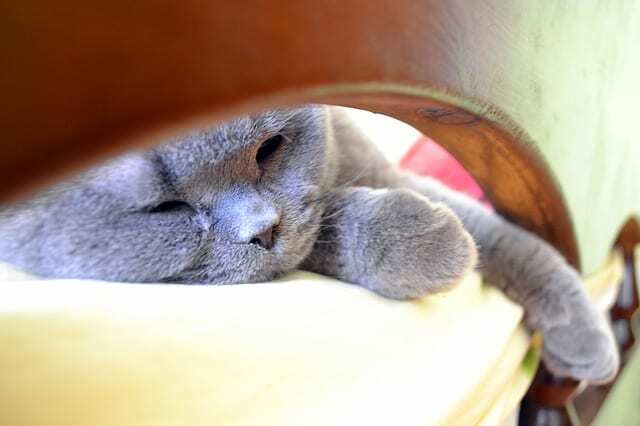 So why should you choose an eco-friendly cat bed over the common variety of beds available at a pet shop? Well, no matter how much we love them, pets have routines that can be bad for the environment. Cat excrement contains Toxoplasma gondii, that can be harmful to sea life. A lot of brands of litter do not biodegrade and contain minerals that have been strip-mined in their extraction process. 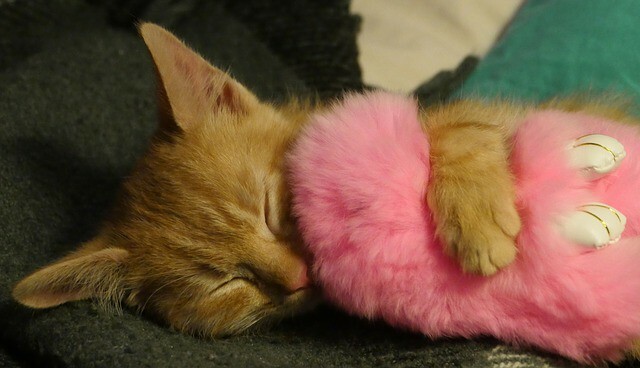 In addition, pet parents are often providing plastic toys and trinkets to keep their feline entertained. Furthermore, other cat products, such as cat trees and cat scratchers, are made cheaply without considering recyclable wood or other green alternatives. Outdoor cats also cause havoc to local wildlife. Wild bird populations can be put at risk where some of the more adventurous cats are allowed to hunt. Australia even had to allow the killing of 2 million feral cats in order to control population and to protect local ecosystems. Combine this with the impact of raising the meat that goes in cats’ meals means that, at last estimate, a cats carbon footprint is about 0.15 hectares a year. That’s similar to driving a Volkswagon Golf around for a year. With all of this in mind, it is our responsibility to buy sensibly when it comes to our cats. Along with an eco-friendly cat bed, you can make some changes that will not compromise your cats quality of life. For instance, switching to a more environmental litter such as an organic or natural alternative. Disposing of waste responsibly too (not flushing or allowing it into the water system) will avoid any pollution. Maybe even consider composting? Giving your outdoor cats a warning bell on their collar will stop them from catching birds. Switching your cat’s food may also be a good option. Most importantly, you need to make sure your cat is neutered to allow for population control. This also stops the spread of any diseases and keeps your cat healthier in general. Eco-friendly cat beds form one part of the solution to being eco-friendly, and thanks to their popularity there are so many to choose from. Here are some of our favorites! If you ever wanted to see what a cat looks like inside an egg, then this is the bed for you. Not only is this cozy shelter for a single cat, its also made from 100% Merino Wool. This means it is cozy and warm, though you will need to extra care when you are washing it to avoid any shrinkage or other damage. As it comes in a number of different colors, each with a nice strip of banding around the rim, it is also quite a stylish piece of cat furniture. Make sure to get the right size for your cat! Resembling the sort of basket you might put your mail into, the only thing you’ll find sitting in this tray is a cat-alogue (sorry). Made of sustainable rope-paper, this is a neat little bed that will suit a cat who doesn’t want the enclosed sides of the felt cave. It also comes with a washable pillow for maximum comfort. Eco-friendly materials can look just as stylish as any other, and prove as durable. Seagrass is a popular, sustainable material that is similar to wicker. You can find examples where the basket is combined with something exciting, like a cat tree for maximum enjoyment. 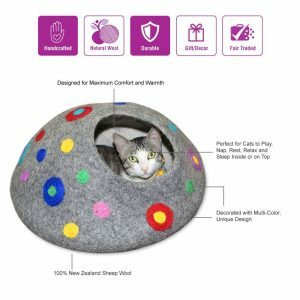 The cat cave bed by Cool Wool is made from New Zealand Merino wool and is handmade by artisans in Nepal. 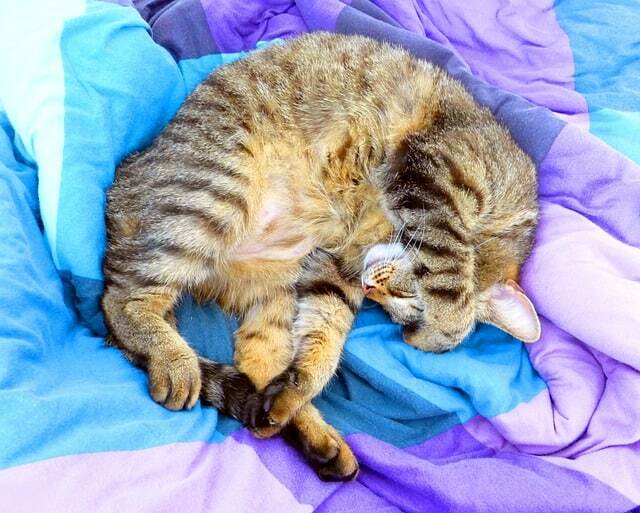 Merino wool is eco-friendly and is the best material to keep your kitty cozy in winter and fresh in the summer. 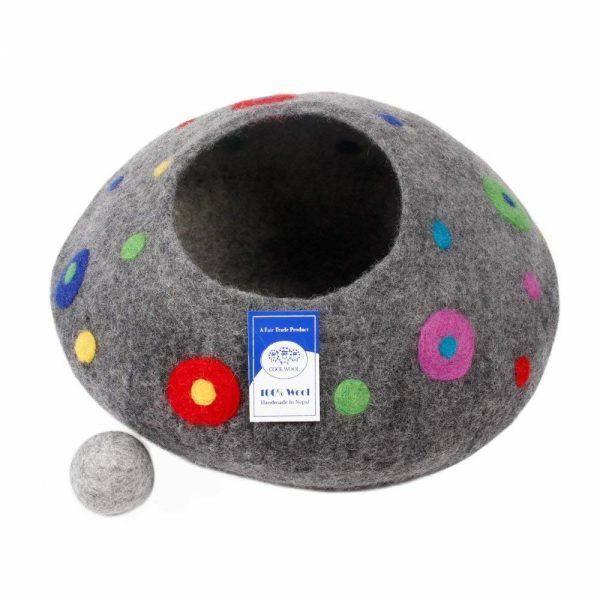 Use as a cat cave bed or flatten to make a more cushioned cat bed. We love this style because it reminds us of our time in Kathmandu! Owning a pet doesn’t mean you can’t be environmentally-friendly. There are plenty of responsible, sustainable materials, toys, and other accessories available if you know what to look for! 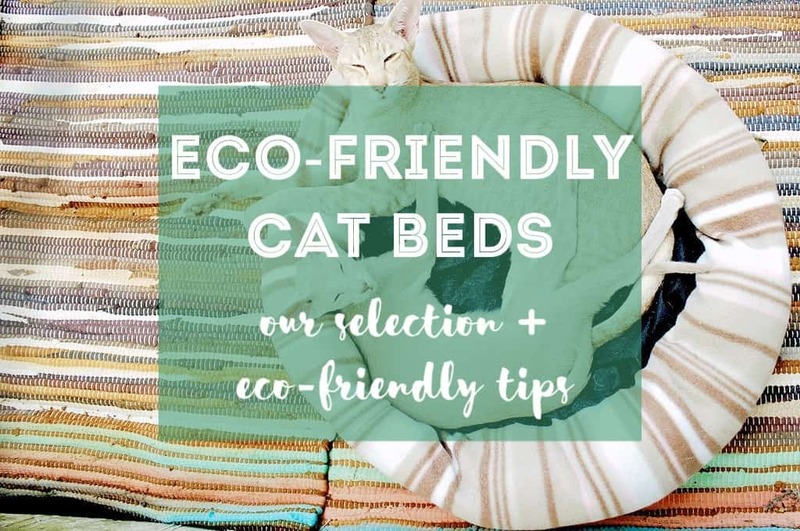 Eco-friendly cat beds can form a necessary part of life, allowing your kitty to live in an environmentally-conscious way without compromising on their quality of life. Combining this with an adjustment in how you take care of your cat (with their diet, litter, and excrement routines) you can be a responsible pet-owner!